+Kevin Tofel wrote a piece some days ago about Chromebooks where he tries to defend the purpose of a Chromebook, but unfortunately Kevin is wrong. For example: A MacBook Air starts faster, it’s more powerful, have better battery life, better build quality, better performance, and can run the Chrome app launcher, Chrome native apps, Chrome packaged apps, plus it can run more professional native Mac apps too. And all that much faster and better without feeling crippled and limited. So if you already have a MacBook Air there is no point in buying a Chromebook instead. 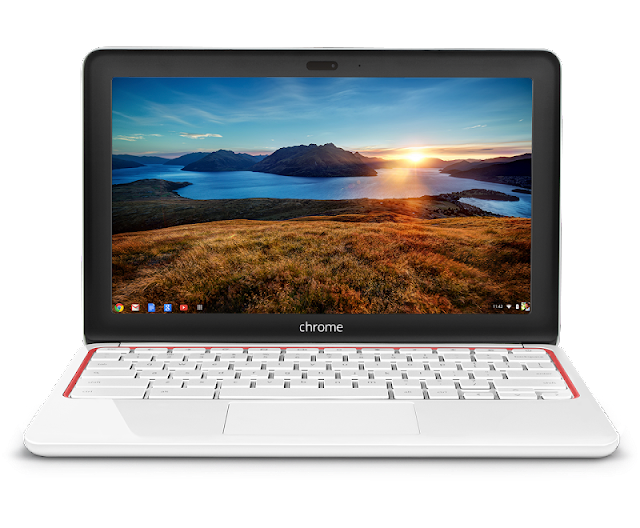 I can only see one reason to buy a Chromebook instead of a MacBook Air, and that is price. A MacBook Air starts in about 3 seconds, I mean it’s so fast that it is even ready before I have got my hands of the lid. Yes it’s not a real boot up I am talking about, I’m talking about opening the lid and get going from the so called deep sleep mode. But that doesn’t matter really, because you never need to restart a Mac. I mean it, I never ever restart my Mac, unless there is an update that requires that but they are very rare. It’s not Windows we are talking about here. So the experienced startup time is around 3 seconds, even faster than it is to make an iPad ready. I haven’t seen a ChromeBook that even comes near the pure power of the latest MacBook Air, it just screams. So powerful, so fast, and the new App Nap and compressed memory features in OS X Mavericks makes the Air scream even higher. An incredible difference. There is absolutely no lag at all, everything is instant, apps starts instantly, and even the very advanced and professional apps like Final Cut Pro X starts really fast. The latest MacBook Air’s has almost an unbelievable battery life, I mean almost the same battery life as an iPad, between 8–10 hours. Not even the latest Chromebooks with Haswell processors comes near that battery life. I have already show you in some videos that I have the Chrome App Launcher with both Native Chrome Apps and Packaged Chrome Apps installed on my MacBook Air. I even have the apps in the OS X Dock. So I can’t see any difference there either. Usually I also run the Chrome apps in fullscreen mode on their own space (desktop), and swipe left and right between them. On a Mac you can have an unlimited amount of desktops. It’s a perfect way using apps on a smaller 11-inch device as the MacBook Air I have. I use everything in fullscreen, native Mac apps and Chrome apps. So this way, I have “Chrome OS” installed above a real, more powerful OS like OS X is. By doing so I get the best from both worlds, and can use what I think is best for what I want to do. No need to be crippled with not so powerful Chrome apps, for let say when I want to do some video editing. Then I want to use a more powerful and professional app like Final Cut Pro X, or sometimes the new iMovie version. 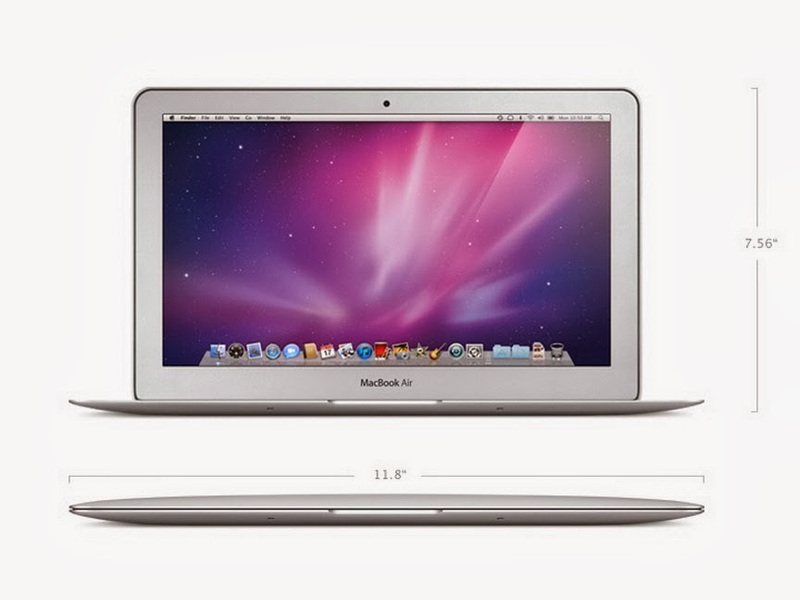 The 11-inch MacBook Air not only beats the ChromeBook on all points, it has also replaced the iPad for me. At least before the iPad Air came out, because the MBA starts faster than the iPad, is more powerful and almost as light and small as the iPad. So I sold my iPad because everything I did with it I could do as easily and better on my MBA. 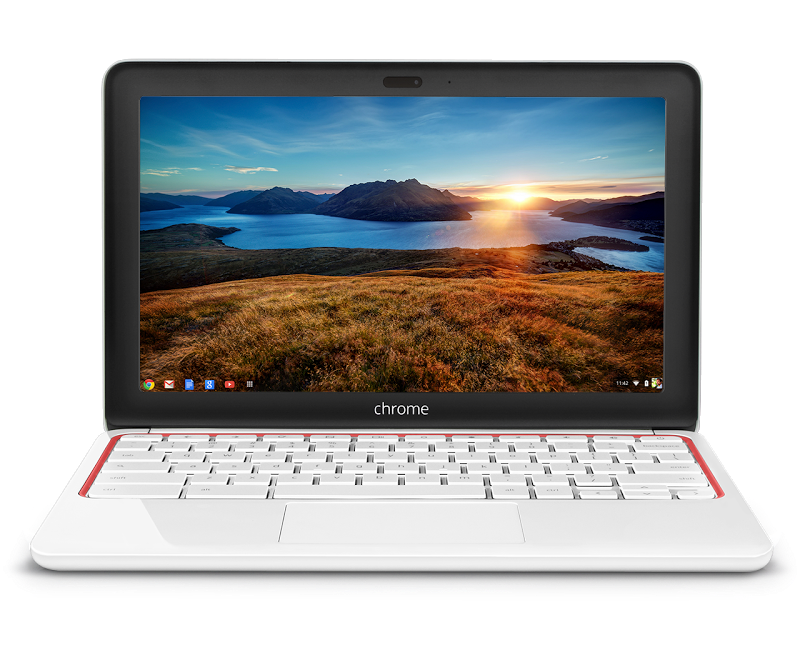 But if I had to choose between a Windows Laptop and a Chromebook, then I would choose the Chromebook, no question about it.